Rowley Lane side claim 4-0 Aubrey Cup semi-final win as they move to brink of third piece of silverware. London Lions made it through to their first Aubrey Cup final as they produced a comprehensive performance, which also saw them move to within a win of a first ever league and cup treble. With the away tie being reversed to Rowley Lane by agreement with both teams, Lions never looked like losing on home turf despite Lemsford proving worthy opponents. Indeed, they have only lost once this season in Division One, and with games in hand they may well find themselves a division higher next season, and on this performance they would not be out of place. But Lions have been rampant all season and were in no mood to relinquish a chance of the treble. Within five minutes the home side were in the lead; Jake Furman worked an opening with Charlie Kasler in midfield to feed Josh Kennet whose left foot shot fizzed past the Lemsford goalkeeper. Less than ten minutes had passed when Lions added a second. Kasler found the net with an exquisite free-kick chipped over the wall and into the corner to cap his recent return from injury in style. Lions went 3-0 to the good before half-time when Adam Burchell finished impressively to add to his growing tally for the season. With the scoreline looking emphatic at the break, it was credit to Lemsford for finding a foothold in the game and continuing to play a nice brand of football throughout. 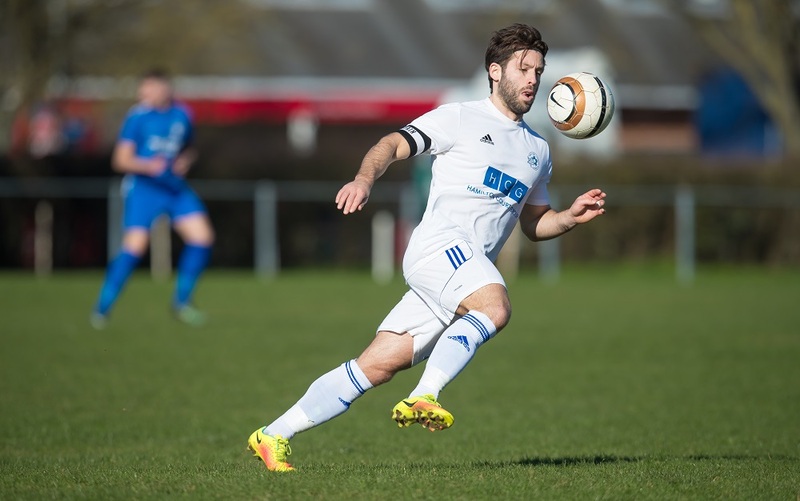 The home team welcomed back Jordan Marks after injury as a substitute and continued to press late into the game. They were rewarded eventually with a fourth as Josh Kennet scored with the last kick of the match. Lions now face Letchworth Garden City to complete their treble, in a final to be played on 1 May at – as luck would have it – Rowley Lane. There can be no more fitting venue for the club to potentially complete it’s most impressive season to date.